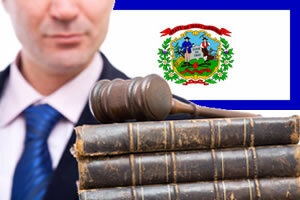 West Virginia personal injury laws vary from other state’s laws. Below are the most common personal injury laws in the state of West Virginia. Understanding your compensation rights and getting the help of a West Virginia attorney is your first step towards filing a successful West Virginia personal injury claim. The West Virginia statute of limitations for filing personal injury claims is 2 years. West Virginia’s medical malpractice statute of limitations is 2 years from the date of injury or 2 years from the date of reasonable discovery. Product liability claims in West Virginia must be filed within 2 years from the date of injury or 2 years from the date of reasonable discovery. These statutes for West Virginia claims are subject to change. Contact a West Virginia injury attorney for specific information about the statute of limitations for your personal injury case. Under West Virginia’s fault state rules insurance companies will determine which party is at fault and pay according to the driver’s degree of fault. If you have been injured due to the negligence of another driver you will receive compensation from their insurance company. If payment is insufficient you may have the legal right to file a car accident claim against the at fault driver to recover compensation for medical costs, lost wages and pain and suffering. West Virginia is one of 12 states which follow the 50 percent bar rule. Under the 50 Percent Bar system a claimant may receive compensation for their injuries or losses if they are less than 50% at fault for their injuries. If they are 50% or more at fault they cannot recover compensation. Compensation is allocated according to fault. Are there Damage Caps in West Virginia Injury Law? West Virginia’s noneconomic Damages Reform: HB 2122 (2003): W.V. Code Ann. § 55-7B-8 limits the award of noneconomic damages in medical malpractice cases to $250,000 to $500,000, depending on the severity of the injuries. The upper limit of compensation is allowed for claimants who suffer permanent and substantial physical deformity, loss of use of limb(s) or body system, or a physical or mental injury which does not allow the individual to care for themselves or perform life-sustaining functions. Compensation amount can be adjusted for inflation. West Virginia workers compensation provides full medical benefits to injured workers without time or monetary limits. Temporary total disability (TTD) and permanent total disability (PTD) is paid as a percentage of the worker's wage, up to a weekly maximum and minimum payment amounts. Payments may continue for up to 208 weeks.